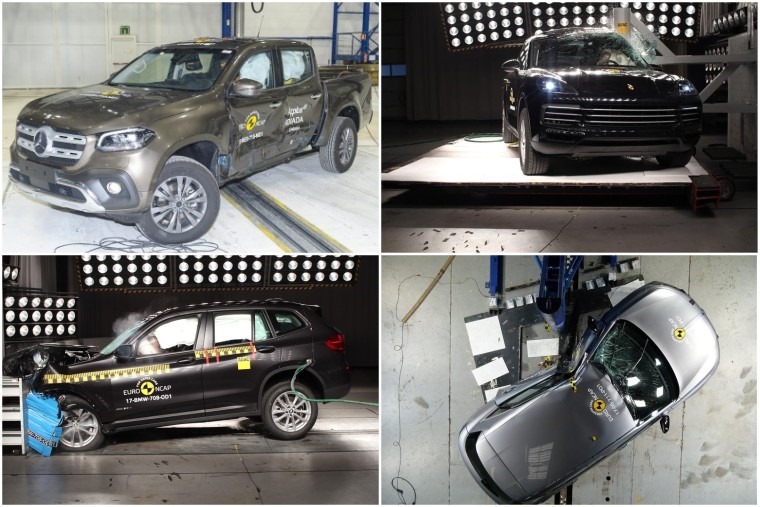 Euro NCAP has published safety ratings for eight new vehicles, all of which managed to achieve its coveted full five star safety rating, with four of those being new cars never before tested. The Mercedes-Benz X-Class luxury pick-up, hotly anticipated Jaguar E-Pace and flagship DS 7 Crossback all scored five stars, while the new generation Porsche Cayenne, the BMW X3, the Subaru XV and its partner, the Impreza scored maximum safety results too. Following improvements to the rear-seat restraint and introduction of a modified side curtain airbag on the in-production model, Honda scored five stars for the new Civic after failing to achieve this in the initial four star test in July. With the exception of the Jaguar E-Pace, each of December’s tested vehicles scored 90% and over. Michiel van Ratingen, secretary general of Euro NCAP, commented: “Unsurprising as these results may be to some, these ratings continue to represent outstanding engineering achievements. What does 2018 hold for the organisation? Euro NCAP is preparing for new tests in the new year in which auto brake systems that can detect and mitigate cyclists will be put to the test for the first time. These new tests and other planned updates are to reflect the surge in automated vehicle functions expected on the market over the coming years.